Oh how I adore coming back to the Central Coast of California! This is my spot. No matter how long I go away for, this is the place that tugs at my heartstrings as home. There's nothing like walking into a tiny wine bar and seeing familiar faces after being away for nearly a decade. (Remember Christy Cozby from 3 Easy Steps to Decanting Wine?) It makes my heart happy to see people here exploring food, wine, and spirits. The "Drink & Learn" Philosophy is alive and well here! 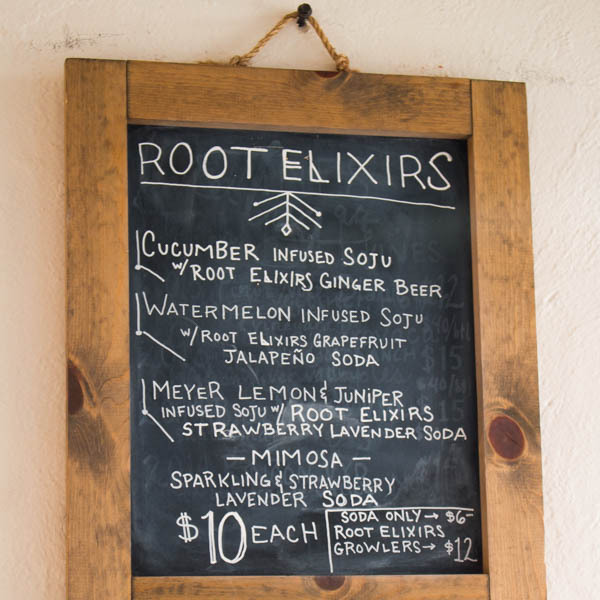 One such place that values an intoxicating education is The Station, which hosted a pop-up tonight for Root Elixirs, an emerging Soda Company founded by Dominique Gonzalez. She is taking "The Taste of SLO" to a whole 'notha level. Here is a round-up of the drinks she served up tonight. They were as enticing to the eye as the tongue, and summer was expressed in liquid form.